Tags: A-line, Casual, Off White, Shirt, Straight Trouser, Thread Embroidery. Off white pure chiffon shirt having embroidered sides panel. Shirt has been adorned with embellished neckline. 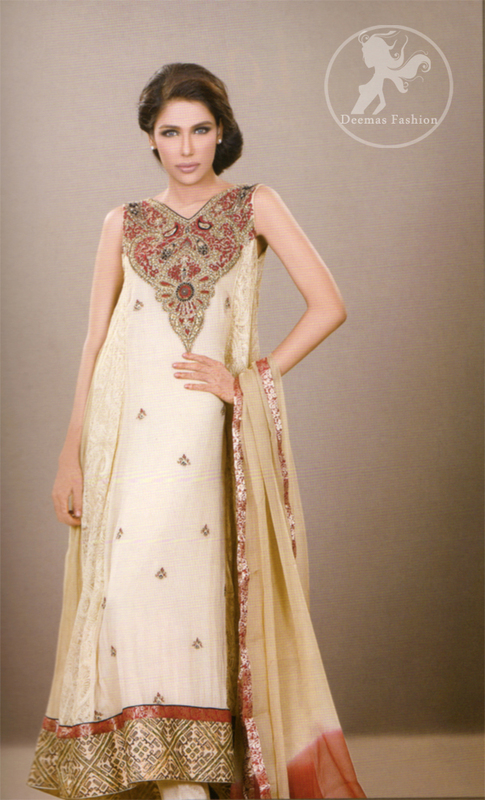 Embellished work includes thread work, kora, dabka and stones and tilla work. Block printed border implemented on hemline. Small motifs spray all over the shirt.